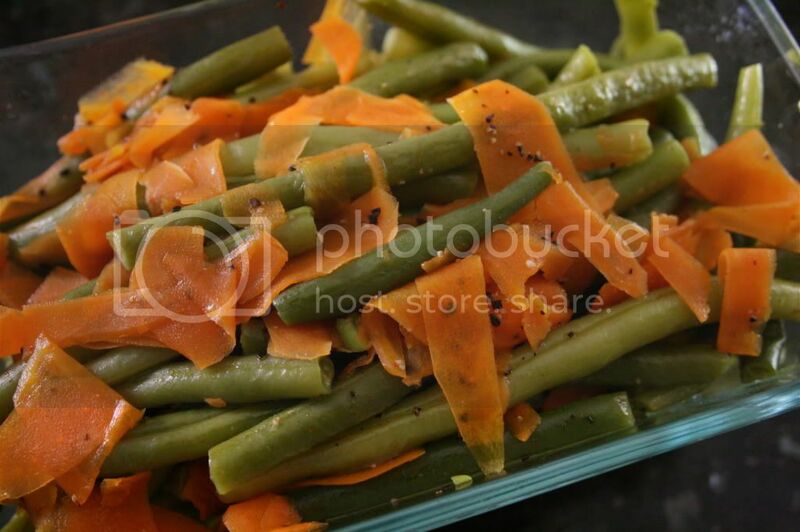 Green Beans with Carrots - Kosher In The Kitch! Green Beans with Carrots - Kosher In The Kitch! This is my mother’s recipe. She makes this for Shabbat and it’s a great side dish to any kugel and chicken dish! Cut off the ends of the green beans, then put into a pot. Grate the carrot into the same pot. Add some salt and pepper to taste. Then add a bit of water and simmer for about 20 minutes until cooked. What is the best way to reheat his dish? I usually just place the leftovers in an aluminum pan and reheat it in the oven. You can also warm it up in the microwave. If you know of any better ways, please share! This way of reheating is perfect, thanks. I made this dish last Shabbat and it came out great! I added some garlic powder along with the salt and pepper. I will make it again this week! I use a little pot and a bit of water to warm it up the healthy way, but the first time I made it I re-heated as is in a glass baking dish the blech.